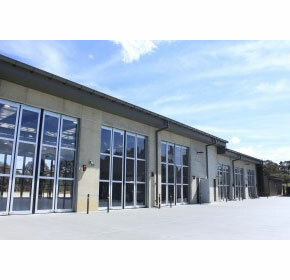 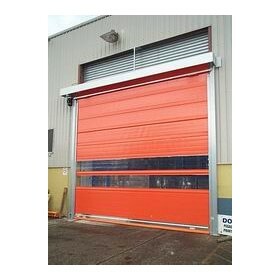 DMF International is a leading Australian company, manufacturing and distributing climate control doors, flexible PVC doors, high speed automatic industrial doors for warehousing and security. 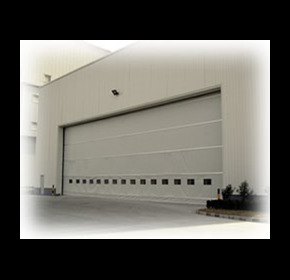 With over 50 years experience, our family owned and operated business, can design and create a solution for your application. 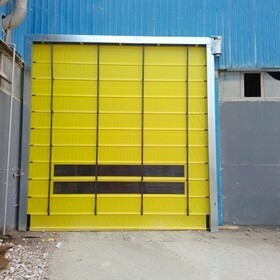 These doors are custom made, and are suitable for applications such as warehousing, cleanrooms, coolrooms and freezers, carparks, emergency stations, mining, logistics, printing rooms, and many others. 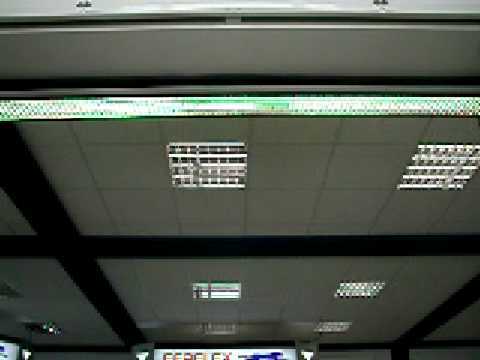 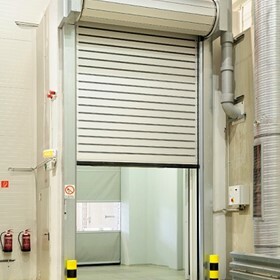 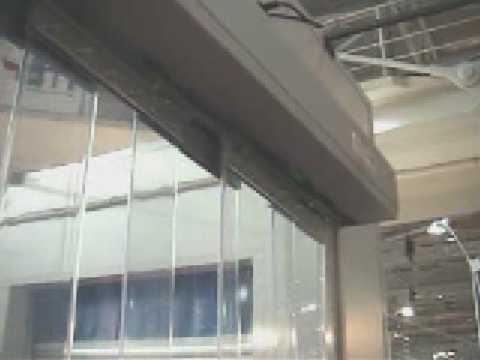 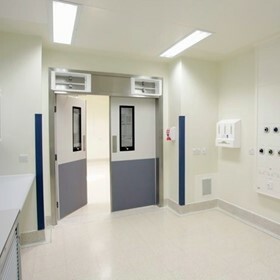 While we manufacture most of our own products, DMF are also exclusive licensed agents of the Efaflex range of specialised high speed doors, which can boast the fastest models in the world, and can be applied to applications requiring high security, cleanrooms, large openings exposed to high wind etc. 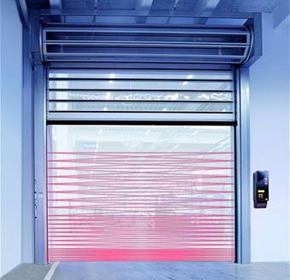 Efaflex Gmbh is a German manufacturer of the premium high speed door models worldwide, all which come with the quality you would expect from German engineering. 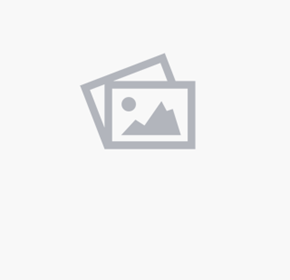 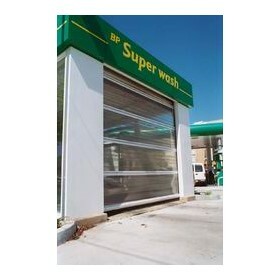 Enjoy this site, or see more information at www.dmf.com.au for details on our complete range. 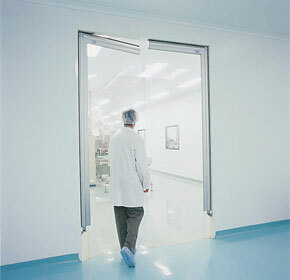 Our staff are ready and willing to assist you with providing the best solution for your application. 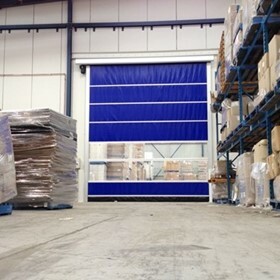 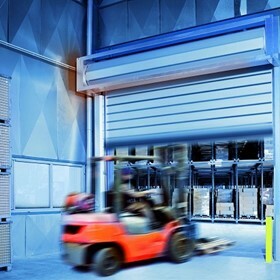 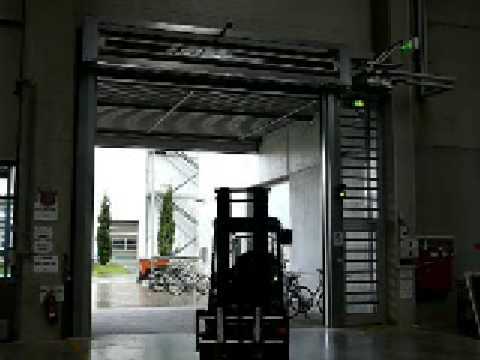 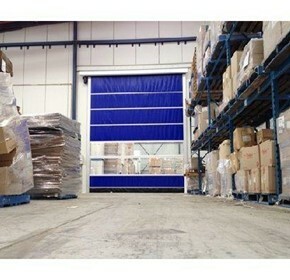 Depending on the exact application, a Rapid Roll Door can improve the efficiency of manufacturing and logistics operations. 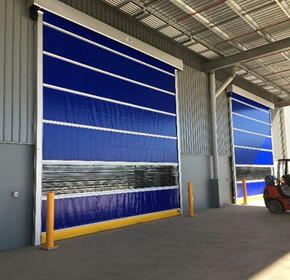 DMF supplied and installed some large fold up doors for a client in Sydney recently where the openings were 6000H x 9600W and faced strong winds. 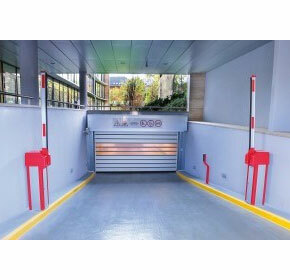 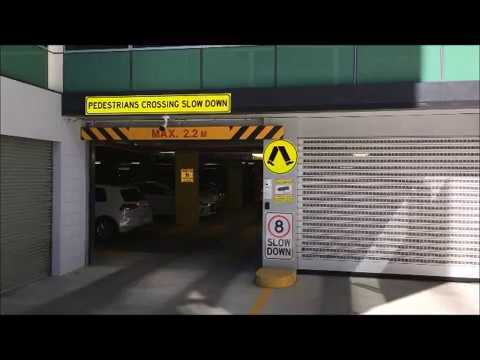 A challenge faced by many building managers is the security of their underground carparks, often boom gates or slow action sectional doors do not provide the level of security required, and vandalism or unwanted entry may still occur. 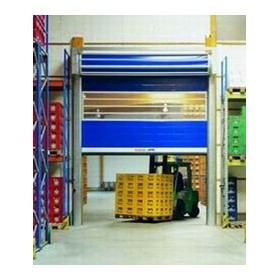 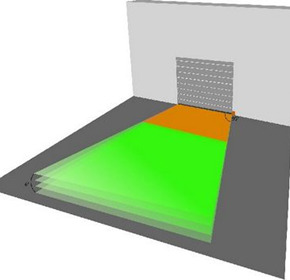 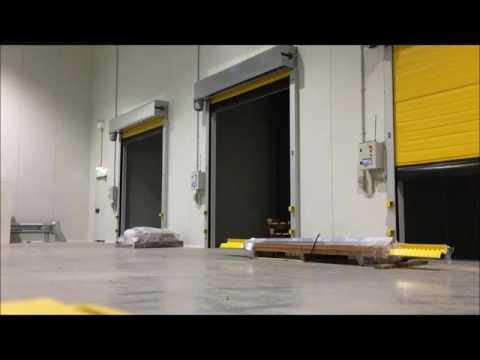 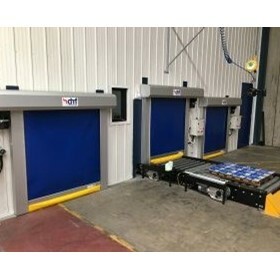 Our RL3000 high speed roll doors improve efficiency and maintain good climate control for applications where there is high traffic volumes through sensitive doorways. 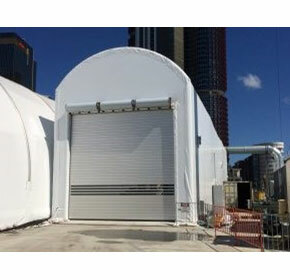 Barangaroo is located on the north western side of the Sydney CBD, and is undergoing a major development of residential, office and hotel accommodation. 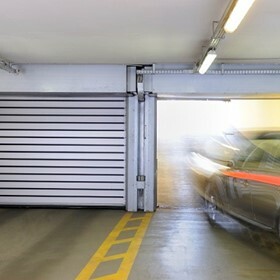 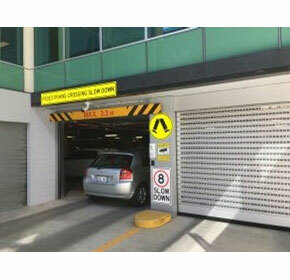 Using security doors for carpark stations and other facilities reduces theft, vandalism and keeps unwanted visitors out. 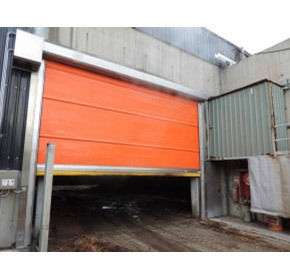 Elf Farms in Sydney recently came to us for help; they needed high speed roller door systems that could resist corrosion caused by gases produced in their waste facility. 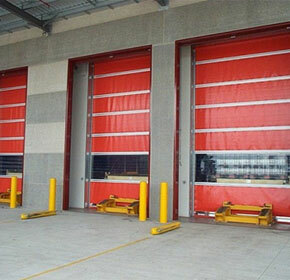 DMF had the pleasure of supply and install large high speed folding Efaflex SFT doors for an emergency services establishment. 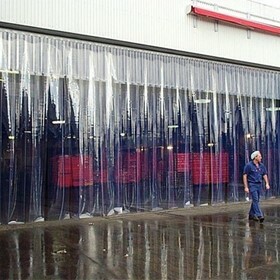 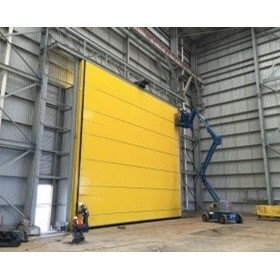 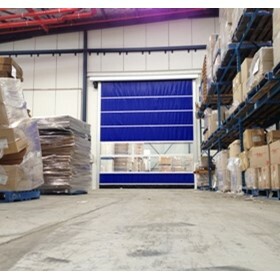 Our range of specialised industrial roller doors able to accommodate 18m high x 18m wide openings. 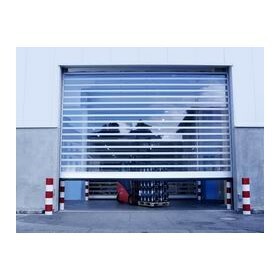 With special design additions, even larger openings can be accommodated. 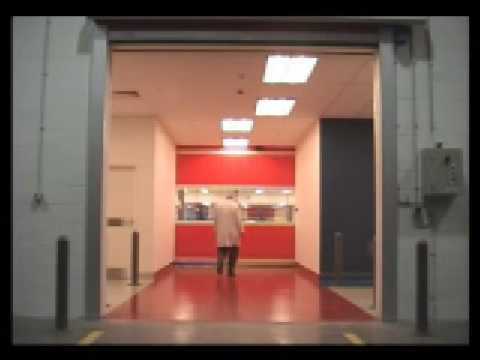 Flexible PVC, for use in doors, partitions, sealing and gasket applications to suit factories, food processing plants, retail deli stores, supermarkets, cool rooms and butchers to name a few.. 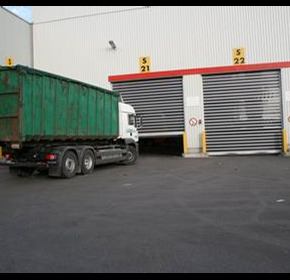 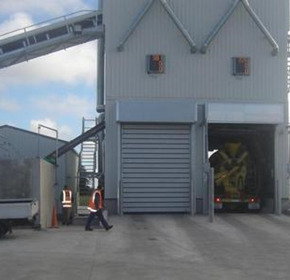 The waste industry requires efficient methods to retain odours, and DMF can provide high speed doors and PVC products to assist. 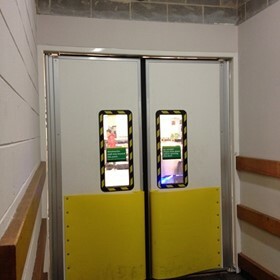 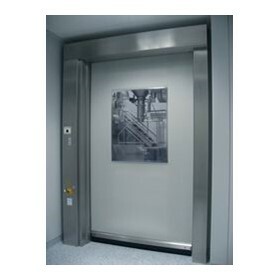 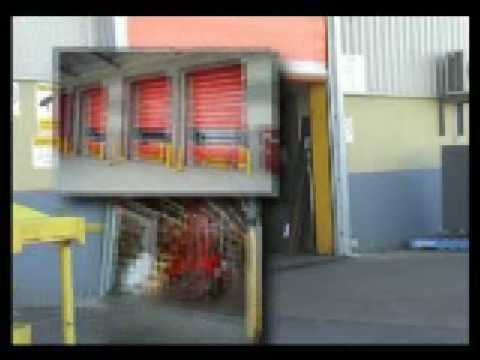 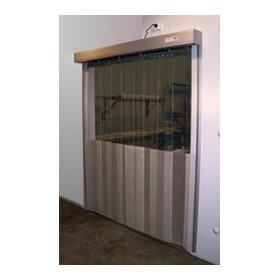 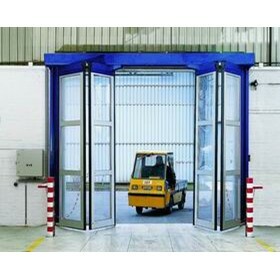 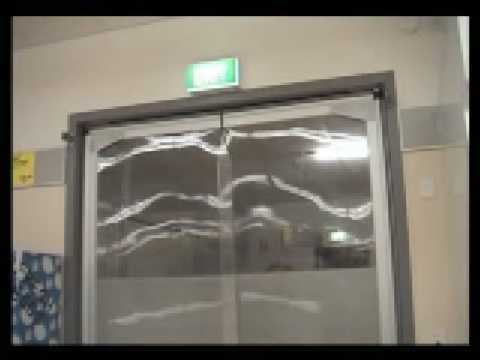 High speed fast action doors require good safety mechanisms to prevent injury to personnel, or damage to the door. 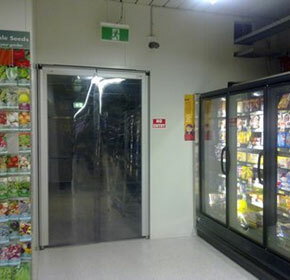 Flexible PVC Swingflex doors are a common door type for climate control areas. 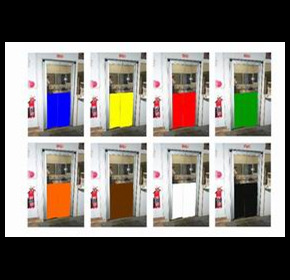 DMF can provide the option of coloured finish to the PVC panels.